Yesterday, I attended my cousin's wedding at Bulacan. I must say I enjoyed the whole event but the weather was just so unforgiving. Super hot! 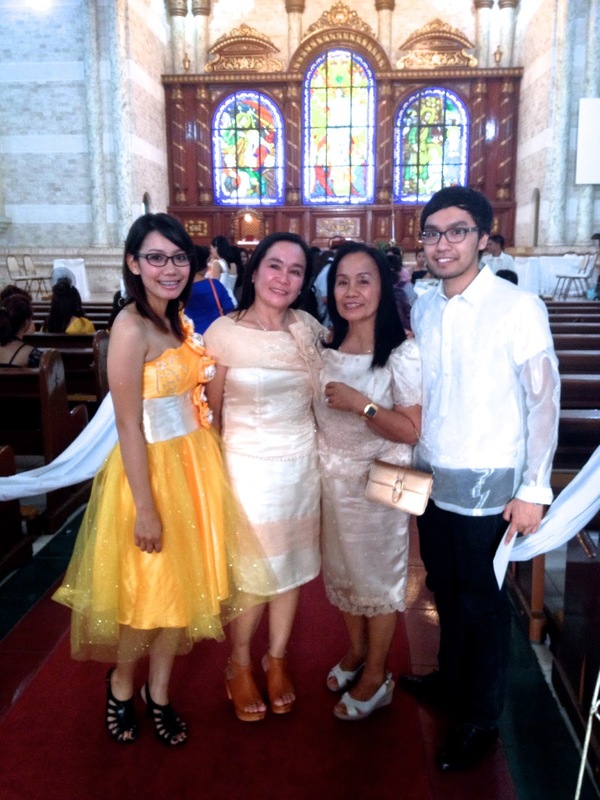 And to add more I needed to wear "Barong Tagalog" which is our National Costume and the dress code for the nuptials. It is a little uncomfortable wearing it because it has a fairly rough surface which creates friction against your skin. But as the saying goes fake it 'til you make it! I looked like a politician or a congressman in it. Here in the Philippines, politicians traditionally wear this to events and the like so yes you can say that. To the newlyweds Nikki and Bryan, I wish them patience and understanding. They will need that. Haha. from the left, my brother Kris, my bestie cousin Racel and Mom. from the left: my sister Kim, my Aunt Fely, and Mom. Haha! Iboto mo muna ako.